The club will be accepting junior members and hope to be organizing events, coaching and training sessions for them in the coming months. The club have decided to accept Aline Community Forest's offer of the use of their forest to develop an MTB Trail Centre. A group of riders have been looking into the possibilities of the project over the last 6 months and essentially the same group will become a sub-committee of the club. This sub-committee will manage the project and keep the club committee fully informed of all significant developments. A questionnaire will be published shortly to gather information on what people would look for in such a facility. The club will be applying to become a charity over the coming months. This will allow the club to make best use of funding oportunities - this will be particularly important for the Aline Forest development. The different options for this will be investigated and the committee given the opportunity to decide on the best option before application is made. A very positive club meeting was held earlier this month with lots of good ideas being put forward and discussed. The following is a brief summary of some of the outcomes. Club membership fees were agreed and set at £15 for Seniors, £10 for Juniors and £20 for a Family membership. The club are using the Scottish Cycling website to manage membership and use their online payment system to collect membership fees. For full details see our membership page. Please visit this page and join the club or renew your membership. Initially we will not be able to offer much to juniors but we have some who wish to race and being members of the club will give them access to LHSC grants to help fund mainland trips. We will try to make club rides more inclusive by having two (or more!) groups on each ride - the idea being for groups to be formed of riders of similar ability. Lead riders in each group will ensure riders stay together, that no-one is left behind and give advice on best practice when group riding (link to British Cycling's "A Guide to Riding in Groups"). Further guidance on this will be posted on the club website and rides will be advertised on the club facebook page. It was agreed to kick off the Wednesday evening rides on the 29th March and we intend to run monthly Café Rides on the last Saturday of each month - again full details will be posted on facebook. Essentially, we aim to offer the same club rides for MTB riders as we offer the roadies. A regular weekday club ride and monthly club trips to ride some of the great trails the island has to offer. Facebook will be used to gauge interest for this, decide on suitable times and then get it started. Again, riders would be split into groups based on ability, skills and fitness to encourage all members to take part. This should be a good opportunity for riders to develop their skills and aim to progress through the groups. Keep an eye on facebook for more details. We hope to organize a series of road and mtb events over the coming months. Details will be worked out over the coming weeks but on the road side we talked of TTs, a crit at the kart-track, a hill race and longer road events. We are particularly keen to have an event to replace the Audax which is not happening this year. 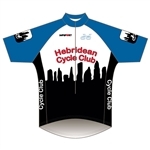 We are also keen to replace the Hebridean Cycle Challenge race - again not happening this year - with our own event. We would look to simplify the logistics of the event and are keen to involve SRAC (running club) in organizing it as many of their members regularly participated. Similarly, on the mtb side, the Castle Grounds trails offer good possibilities for organising dirt-crit, xc and enduro-style stage races. The possibility of organizing an enduro event in Harris was discussed - maybe with different stages on different days over the summer. 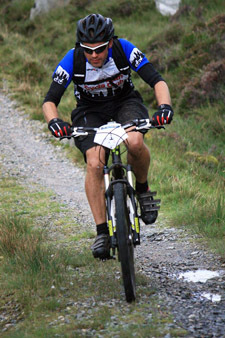 The North Harris Trust xc race will again take place in September. A lot of good ideas and a lot of hard work required if we are going to make it happen. This may well require an event sub-committee to be set up to move this forward. We will need to purchase signs, banners, timing equipment, radios etc to run some of these events successfully - we will be seeking grant funding or sponsorship to help cover the associated costs. We would offer free or a reduced entry to events to club members and encourage all local participants to join the club. The possibility of the club becoming either (or both) of the above has been raised. They both offer significant benefits to the club but would require a real commitment from members to make it happen. We will investigate what is involved in becoming either and discuss it at the next committee meeting. A reminder that Club Kit is available to order online at the club shop - go to Club Kit page for full details. All kit in the catalogue is available in HCC form - not just the items shown in club colours. Some kit requires minimum orders and all the rest are more expensive when ordered singly. If there is sufficient interest, we could try and put together a club order to reduce the cost. if you are excited by any of the above - then please get involved. The club will need your help and support if we are going to make any of it happen and develop as a club. This newsletter is being promoted on facebook and several of the items mentioned will be specifically raised for discussion there. We encourage you all to get involved by joining in the ongoing discussions - we can't try to please everyone if we dont know what everyone thinks! If you prefer, you can also email comments/suggestions direct to the chairman.